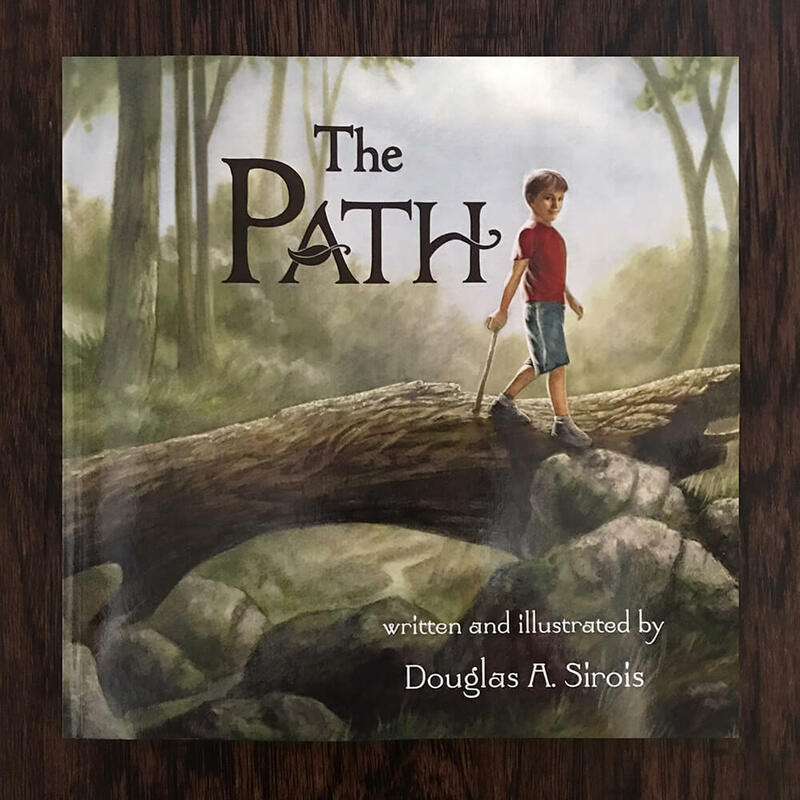 Ordered & received a delightful children’s book, “The Path” by Douglas Sirois. What a wonderful book that I look forward to enjoying & being inspired by many times over with my son as he grows. Congrats to Schylling Inc. on having such a great creative person on your team. Micah is upset because he can’t find his imagination. With helpful suggestions along his journey down a wooded path from some forest friends, Micah learns a few key lessons to help find his imagination before returning home. A sweet enduring picture book with a how-to-find creativity hook, detailed natural and fantastical illustration, THE PATH is sure to inspire and spark any child’s imagination. Douglas A. Sirois was born and raised in Massachusetts. He has since illustrated and designed everything from toys, children’s books, graphic novels to clothing and apparel. His children’s book, The Path, is Doug’s first book as author and illustrator. After living in sunny southern California for ten years and earning a MFA in illustration, Doug currently resides back in Massachusetts with his wife and two children and a dog named Ginger.